Fannin Tob. & Candy Co. | Just Shooting Memories! Fannin Tob. 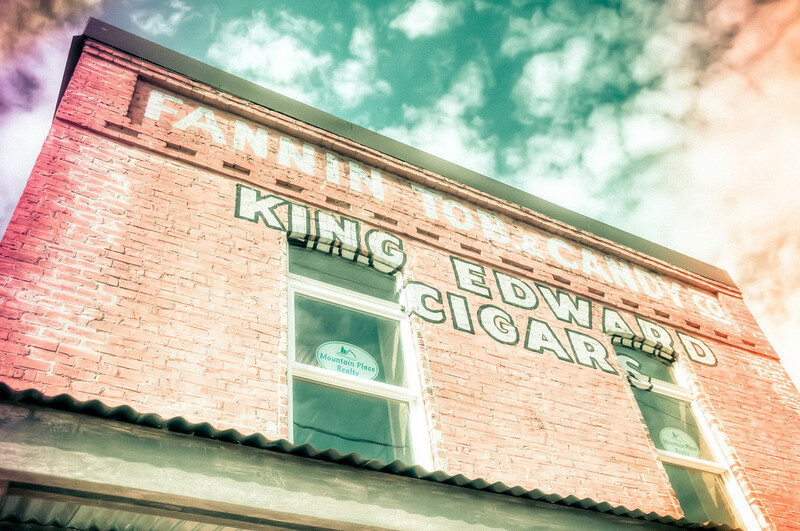 & Candy Co.
Today’s Photo: Fannin Tob. & Candy Co. I like to explore old towns. I would classify downtown Blue Ridge Georgia definitely as an old town. It is so much fun to explore the old architecture. Sometimes you even come across something that tells a little about the history of a building. There wasn’t anything telling about the history of this building, but the facade tells a little about it. I’m sure many people have visited this building. If the walls could talk, I’m sure they would have tons of stories to tell.